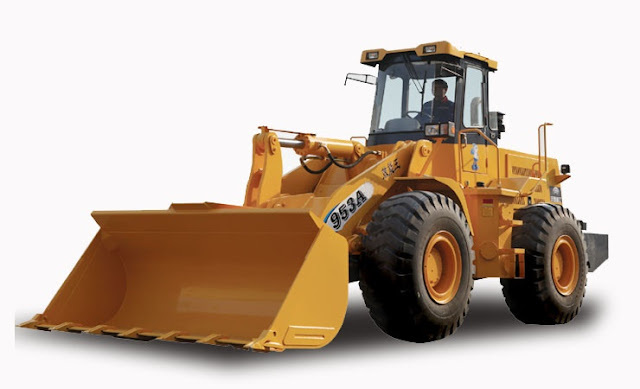 953A wheel loader is the third generation of loader product produced independently by our company by using the latest technology and modern design. It adopts China’s common transmission system and reinforced frame and its excellent performance, high efficiency, low fuel consumption and reasonable economic cost have achieved the advanced level in the industry. Full load: Extended bucket bottom, strong cut-in force, large bucket drawback angle and high full-load coefficient. Good performance: optimized working device of single rocker arm, smooth motion and the bucket can lay flat automatically. Hinge point adopts double-row centering taper roller bearing, which makes the stress more reasonable and makes the steering more flexible. "C"-shaped protecting bush is used at the hinge joint of hinge pin, which has good dust proof effect and makes the hinge joint of hinge pin more wearable. Hydraulic joint adopts "Cone-O" double seal which is a kind of German technology, so the capacity of seepage-proofing and leakage-proof becomes better.